Ladies Order same as street shoe size. An extremely versatile classic character shoe. Full grain leather upper. Leather sole and top lift. Fully leather lined. Cushioned suede socklining. Single ankle strap. Extra sturdy full breasted 2-1/2 inch heel for professional quality support. 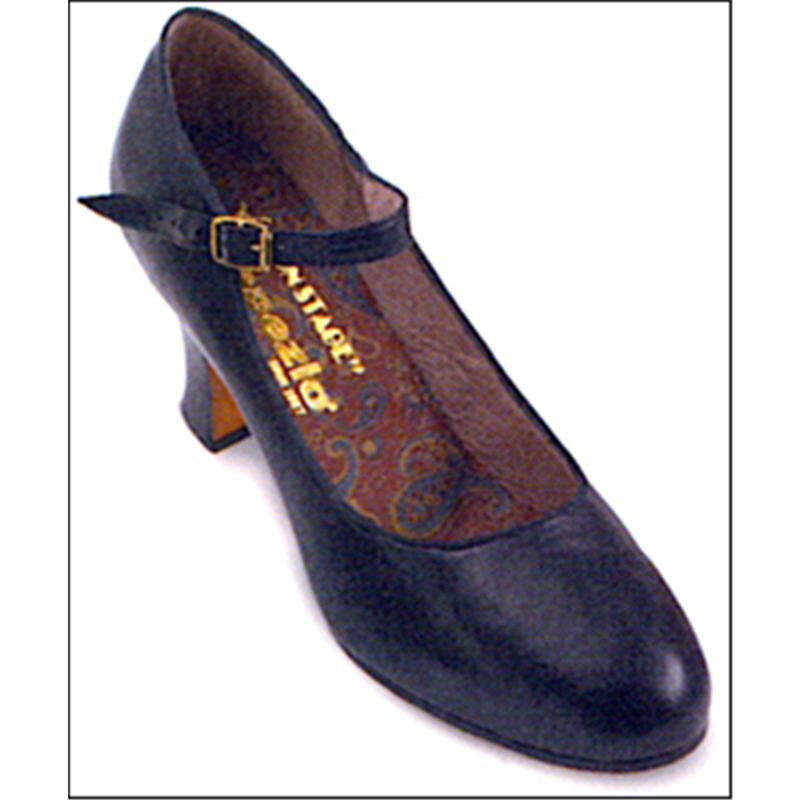 Can be worn as a character or tap shoe. Taps not included. Did you know? This shoe can also be made in variety of other leather and satin colors. $50.00 additional charge. Call for details. This is a special-order shoe. PLEASE ALOW 4-6 WEEKS FOR SHIPPING . Limited stock is available,if placing a rush order please call to check availability.